The Samsung Galaxy S9 and S9+ have already started shipping in the US, but their actual release date is tomorrow, March 16, when the two phones will be widely available online and in stores across the US. If you’re not yet sure you want to buy a Galaxy S9 or S9+, perhaps one of Samsung’s deals will convince you. First of all, we have to mention that said deals are available only via the official Shop Samsung app. With that out of the way, the first deal is really attractive, but only for Verizon Wireless users. 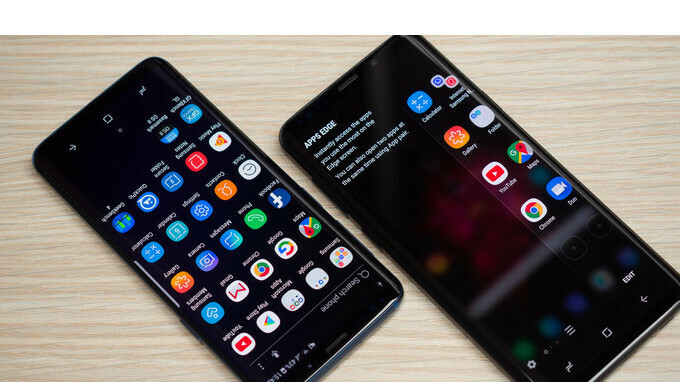 When purchasing a Galaxy S9 or Galaxy S9+ on Verizon (via the Samsung Shop app), you can get an additional Galaxy S9 for free, though this requires monthly device payment plans plus at least 1 new line of service, with savings being reflected in reduced monthly bill credit. BOGO (buy one, get one free) deals involving brand new flagship phones are rare, so we’re surprised to see this available so early. The second deal seemingly involves any Galaxy S9 or S9+ model (unlocked, or on a carrier), and lets you to buy an "ultimate bundle" comprised of a Gear IconX 2018, a fast wireless charging stand, and a Gear VR with Controller - all for $99. Normally, these three products together cost $199. This particular deal doesn’t appear to be live yet, or at least not for everyone, but we assume it’ll show up tomorrow. These deals don't seem to exclude the previously announced Galaxy S9 trade-in offer (which allows customers to save up to $350 on a new Galaxy when they bring in an old smartphone). We're contacting Samsung to see if the company can share additional details on all this. Stay tuned for updates. These flagship phones are only worth $360 at launch. Th e BOGO deals prove that. They cost less than $ 200 to build. How much profit do you wan to give them? Actually, Galaxy s9 cost more to make than the x. They all cost less than $200 to build. $300-$400 retail is MORE than fair for all of them.